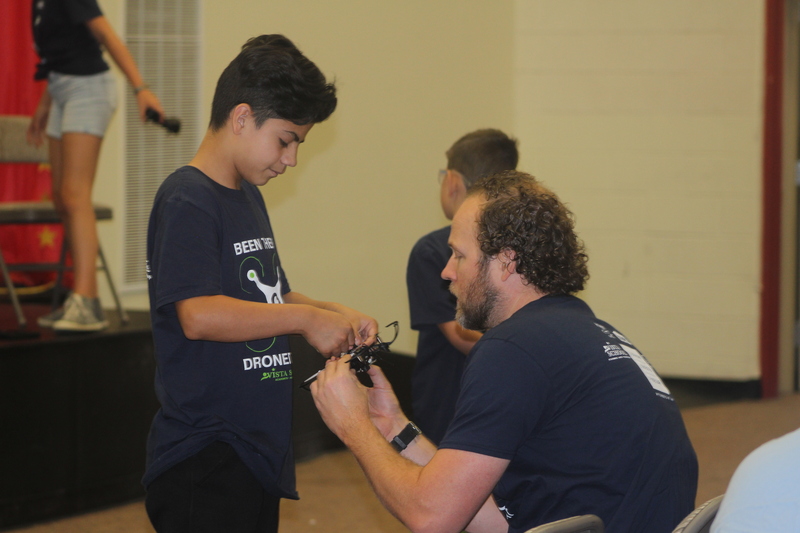 IVINS — With the use of science, math and more, students flew drones through obstacle courses to test their skills learned during Vista School’s Mini-Drone Camp competition. Participating students, who ranged from fourth- to eighth-graders from multiple Washington County schools, were able to learn skills such as coding, precision flight and data acquisition during a three-day camp. The competition took place Thursday at Vista School in Ivins. 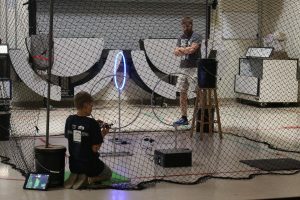 This is the first time this drone camp and competition has been introduced to Southern Utah. The program was originally developed at Utah State University as as the ROAV Quadcopter Challenge. 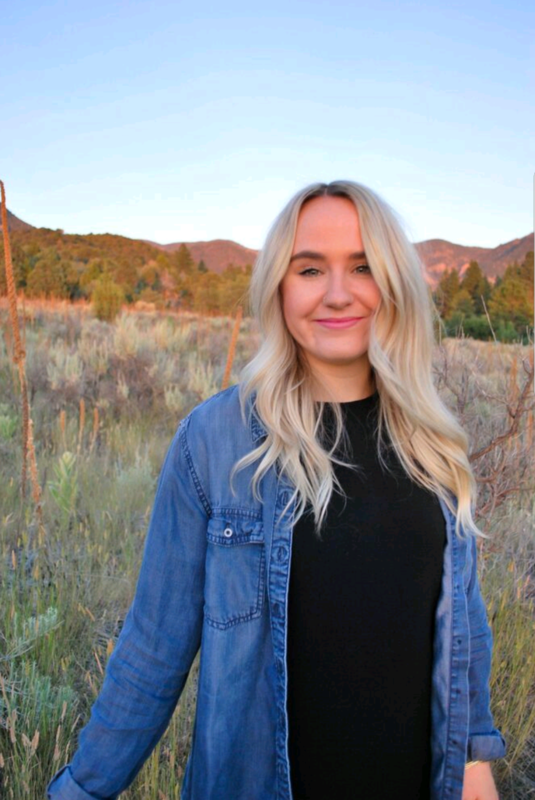 Jordan Bartholomew, a technology teacher at Vista, helped create the curriculum for the program. He said the most significant aspect students are taking away from this camp and competition is computational thinking, which is a process that helps people solve problems and identify and implement solutions. “Employers are are looking for employees who can not only meet the challenges that are expected of them, but they also want to be able to solve problems and think critically in situations,” Bartholomew said. In the competition, students had to fly their drones through obstacle courses, with items in the courses resembling a certain amount of points. If students were successful in flying their drones through one of the hoops, they received two points. Students had two minutes to get as many points as possible. During the camp, organizers emphasized the importance of safety and when it’s not appropriate to fly drones. With wildfire season in full swing and a ongoing fire on Pine Valley Mountain, flying drones can be frowned upon. But Bartholomew said the students were taught safety skills before actually flying the drones. According to the Federal Aviation Administration, drones have to be flown within sight and can only remain 400 feet above the ground. The Utah Legislature passed a bill in 2016 that allows law enforcement officials to neutralize drones if they’re near a wildfire. Even with the education on safety and proper use of drones, Troy Bradshaw, an organizer of the competition, said they can’t control what students do when they buy their own drone and use it at home. This camp and competition was just a “kick start” for Vista School. In the future, it will hold competitions involving other Washington County schools. With the skills learned at these competitions, Vista School officials hope to take a team to national competitions. “What we’re seeing with these students already is that they’re catching on really fast,” Bradshaw said. Trophies were awarded to each of the top three individual finishers. The team “Water Nuggets” won first place with 13 points. I think Drones are really cool and I’m an old guy. But I just cant wrap my head around how they enhance students learning. …… back to the old guy thing I guess.